Toy Drive for Beethoven School. Plato students collected toys and games for the students at Beethoven School who may have not received gifts this Christmas due to economic difficulties. Coat and Food Drive for the Des Plaines Pantry. 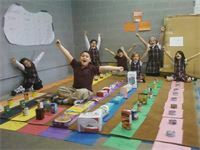 Ms. Dionysia’s class organized a coat and food drive for the local pantry. Students collected over 100 coats and plenty of food to help those in need. 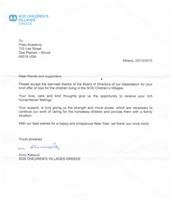 SOS Children’s Villages Toy Drive. 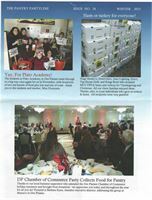 Plato families generously donated and shipped toys to help children in Greece in economic hardship. Treats for the Troops. Plato participated in its 4th Annual Treats for the Troops. This year our donated Halloween candy and letters of encouragement were distributed in Care Packages for U.S. Troops, Veterans, New Recruits, Wounded Warriors and Military Children by Operation Gratitude. We collected, sorted, and counted 1,119 pieces of candy. Reduce, Reuse, Recycle. 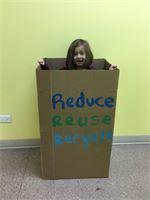 Plato students collect plastic bottles throughout the year to help the environment as well as raise money for our school. 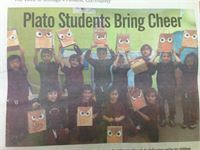 Plato Students Bring Cheer. Amelia’s Friends is a non-profit organization that brings cheer to children in hospitals. Our students create gift bags with various goodies for the children. In the past, the older students delivered the bags to the Ronald McDonald home. Art. 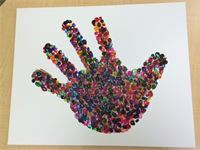 This beautiful canvas art was auctioned to help raise funds Enosis. Des Plaines Pantry Food Drive. 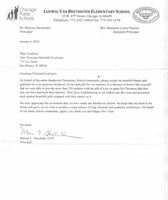 Helping our local community is very important to the students and the staff at Plato Academy. Students gathered data of the various items collected and created life-size graphs. Breast Cancer Awareness. 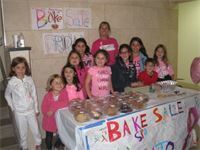 Plato students raise awareness and funds trough our annual bake sale. They assisted with baking, advertising and selling of all goods. PLATO 4 KIDS St. Baldrick’s Event. 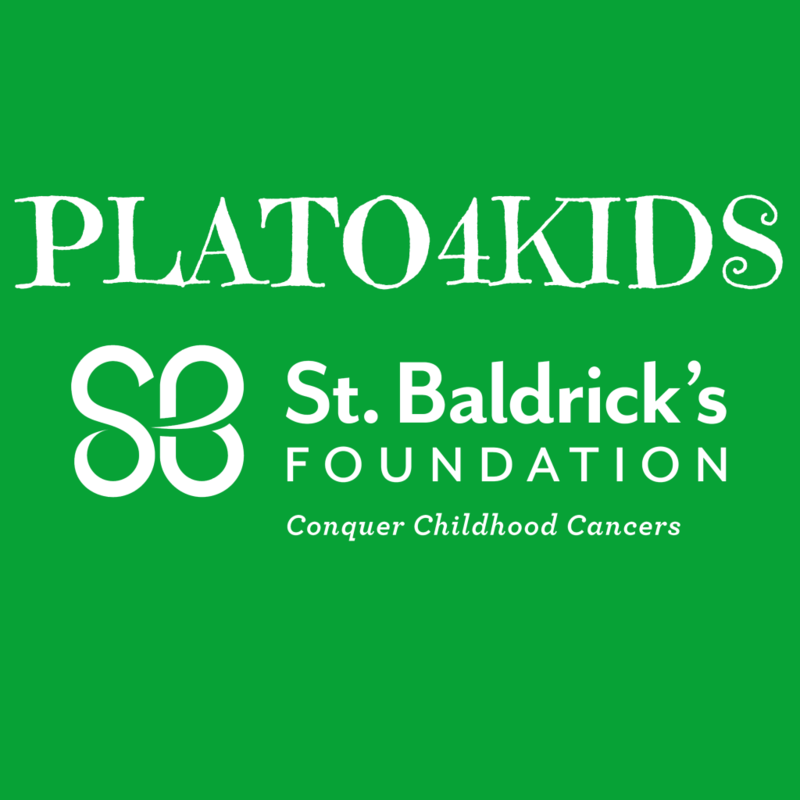 Plato students are proud to organize a St. Baldrick’s event each year to support the fight against pediatric cancer. Students will host a hair cutting event, basketball shoot-out and mini dance camp to support this great cause! Visit our event page at: https://www.stbaldricks.org/events/mypage/12909/2018.